Posted by Trixie. September 4th 2014. 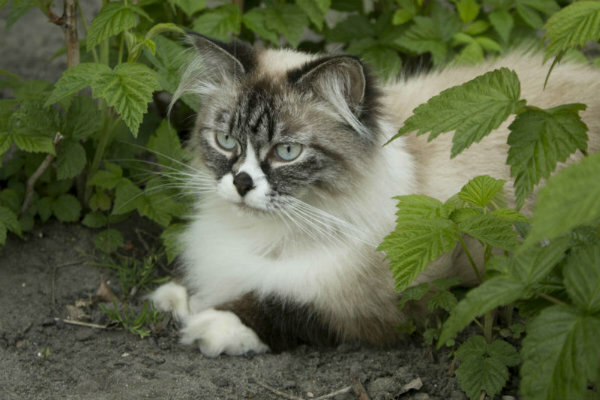 A popular addition to many homes, Siberian Cats are a breed you’re probably comfortable identifying – but just how much do you know about them? The Siberian cat has quite a glamorous and dramatic history. This age-old Russian breed dates back to the 13th century but was banned under communism; leading these beautiful cats to start to live wild in both town and country. It wasn’t until the fall of the communist regime that the Siberian Cat was welcomed back into domestic life and developed as a show breed in 1987. It was even established as the national cat of Russia and was exported to the USA and Europe in the 1990s but didn’t arrive in the UK until 2002. 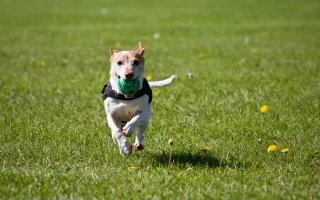 Over its lifetime the breed gained popularity very quickly and the rest, as they say, is history. It isn’t surprising that, considering its chilly origins, the Siberian is a fluffy cat. It has three different types of feline fur all geared towards protection against the elements and heat creation. A fluffy tail is not only beautiful but practical as it is curled around the cat for optimum warmth. Tufts of fur in the ears add to heat creation and retention while necks appear to have fur ruffs and haunches have a fluffy ‘bloomer’ look. Although tough with strong bodies, these cats have sweet faces. Eyes can be any shade from golden to green with some Siberians boasting two different coloured eyes and blue eyes are not uncommon either. The nature of the Siberian Cat runs the full breadth of calm and docile to playful and energetic. Their fun-loving personalities stay with them when they leave kitten-hood yet they remain equally docile. They love the company of all ages, making them ideal family cats, and they also tend to get on with dogs and other animals. Very sensitive, they seem to know when somebody needs extra moral support and will spend time with whomever is feeling a little under the weather. They communicate with trills, chirps, purrs and gentle mews which makes them perfect for anyone looking for companionship. A reasonable amount of play will keep this loyal cat happy. Toys are one of their favourite things with kittens especially expressing a fearlessness which characterises this exotic breed. Long back legs mean greater agility during exercise and play, while a robust constitution makes this cat very energetic and full of stamina. A twice-weekly grooming session is enough to keep the Siberian cat’s coat in good condition as the coat is glossy and strong with little matting making it easy to care for. Several studies have indicated that the coat of this cat is less aggravating to allergy sufferers than that of other felines and although there is little scientific evidence for this at present, this cat does have fewer skin and fur properties than other breeds that contribute to allergic reactions. A person who normally suffers from allergies and who has their eye on a kitten from a new litter should test their reaction to the parents as a sound way of establishing compatibility with the offspring before buying.